Now that the holidays are over, we quickly move into birthday planning mode. With my birthday this month, the party planning begins – for the kids! I know it sounds crazy, but we end up figuring out the birthday “themes” for the kids birthday parties now, so we can begin gathering supplies when they are on sale or have coupon codes! Right now, you can get 20% off a Birthday Express Party Boxes now through January 31st! For my little one’s 5th birthday, we planned a “diva” birthday party based on the decorations and paper goods I found at Birthday Express. She absolutely fell in love with the zebra print combined with pink and we were sold! Now with 2016 birthdays on the horizon, it is a fantastic time to stock up on the kiddo’s party boxes with their favorite theme. Plus, with the code: AFCNEWYEAR20 at checkout now through January 31st, we can get 20% off your purchase at Birthday Express! 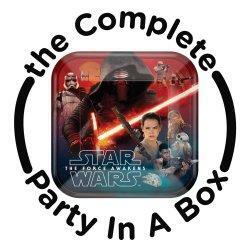 Star Wars – Probably the #1 party theme for 2016, kids will LOVE the Star Wars 7 The Force Awakens Party in a Box. With Grab your Lightsabers, get your fellow Resistance fighters together and join Rey, Finn, Poe Dameron, Wookie Chewbacca and droid BB-8 to defeat the evil Kylo Ren and his army of Stromtroopers and Flametroopers, including Captain Phasma. Defeat party-planning stress by choosing a Star Wars 7 The Force Awakens Party in a Box, exclusively from Birthday Express. Shopkins – My kids are so in love with their Shopkins and all they fun they create in our household. Now we can add a party to their collection! A Shopkins birthday party features a variety of anthropomorphic bakery items, fruit and veg, sweet treats and much more! 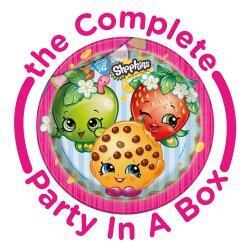 Poppy Corn, Apple Blossom, Strawberry Kiss and all of their friends can’t wait to help your little one celebrate. 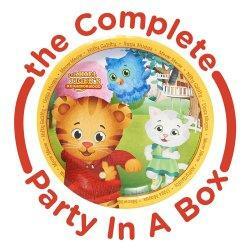 Daniel Tiger – Daniel Tiger and his friends love learning and singing songs, and I bet your little one loves to play along. Surprise your son or daughter by transforming your home into the Neighborhood of Make-Believe with the Daniel Tiger’s Neighborhood birthday party theme. The party pros at Birthday Express know exactly what kids like, and they can help you every step of the way. WOW, there are so many options for birthday parties now a days! I love that Birthday Express makes it easy on all of us! I’ve already started browsing the site and it could be either a ballerina party box or the Shopkins party boxes. What would your kiddos choose?